A sea-snail takes a ride around the world on the tail of a humpback whale. 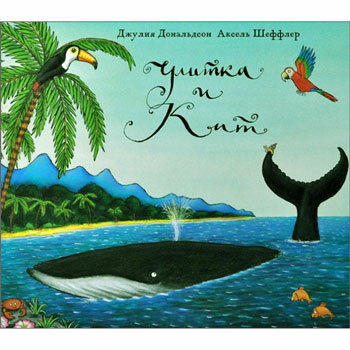 When the whale is in danger, the snail saves the day! 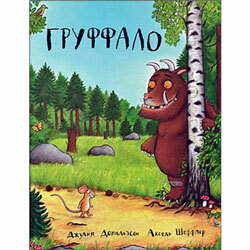 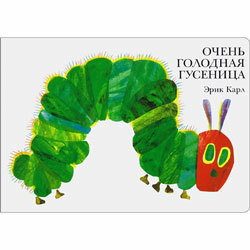 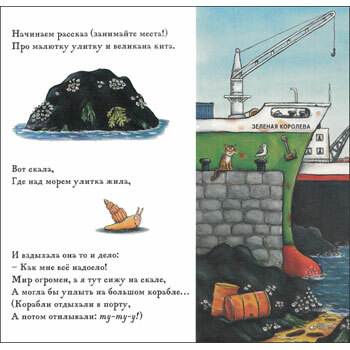 Улитка и Кит / Ulitka i Kit is written entirely in Russian as it is aimed at native Russian speakers.